A classical-pop crossover concert of arrangements for string quartet and vocal of songs by Radiohead, Pink Floyd, Joni Mitchell, David Bowie, Elvis Costello, The Killers, and many more. Click here for information about the Notes From The Edge album. A rock opera by Mark Governor based on The Scarlet Letter by Nathaniel Hawthorne. Directed and choreographed by Janet Roston at the King King Hollywood. 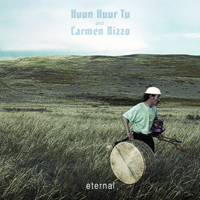 A mind-blowing, genre-bending collaboration between Tuvan band Huun Huur Tu and Electronica Artist/Producer Carmen Rizzo creating lush, spiritual and visceral musical soundscapes. Executive Producers Mark Governor and Valdimir Oboronko. A fiery blend of innovative dance, song and drama set to a passionate mix of Latin World fusion music. The piece is a new cutting edge concert musical written by Mark Governor that combines the excitement of a live concert with dancers and actors weaving a story through and around the music.